Guadalajara Mexico isn't just one of the largest cities in the Mexico but it’s also one of the best places in Mexico where you can soak and experience an interesting blend of traditional Mexican culture and modern city attractions. There are, in fact, lots of cultural attractions and places to visit in Guadalajara Mexico such as museums and annual festivals like the popular International Film Festival of Guadalajara (in March) and the Guadalajara International Book Fair (in November). And, if Guadalajara Mexico attractions weren't enough, the city is just a few hours drive from the popular beach resort of Puerto Vallarta. Since many of Guadalajara’s top attractions are located in the historic centre of the city (Zona Centro) you can easily visit them on a walking tour or on an open-air bus tour, if you're only visiting the city on a day trip. Guadalajara’s Main Square is one of the best places to start exploring the city since many of the main attractions in the city are located there such as Government Palace (Palacio del Gobierno) and the Guadalajara Cathedral, which boast lovely altarpieces and a massive organ. 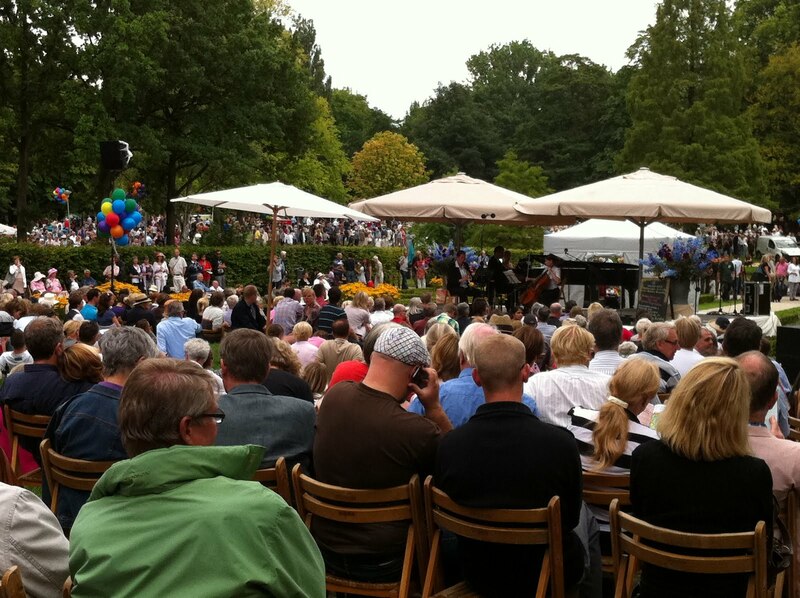 The Main Square also boasts a few statues, park benches and a cast-iron bandstand where you can catch local bands playing in the evenings. The Government Palace (Palacio de Gobierno) is definitely a must-see attraction in Guadalajara's historic centre, especially if you’re interested in art. You're allowed to enter and wander freely through the inner courtyard of the Palace to see the beautiful Palace’s murals, which much of Mexico’s history. If you'd like to learn the history behind the murals and what they signify, it may be a good idea to visit this place on a guided tour. The Municipal Palace (Palacio Municipal) is located on the northern side of Plaza Guadalajara, just a short walk from the city’s Main Square. The Municipal Palace is another visually stunning building in Guadalajara's historic center that offers both a great photo opportunity and a chance to see more beautiful murals that depict Guadalajara’s history. 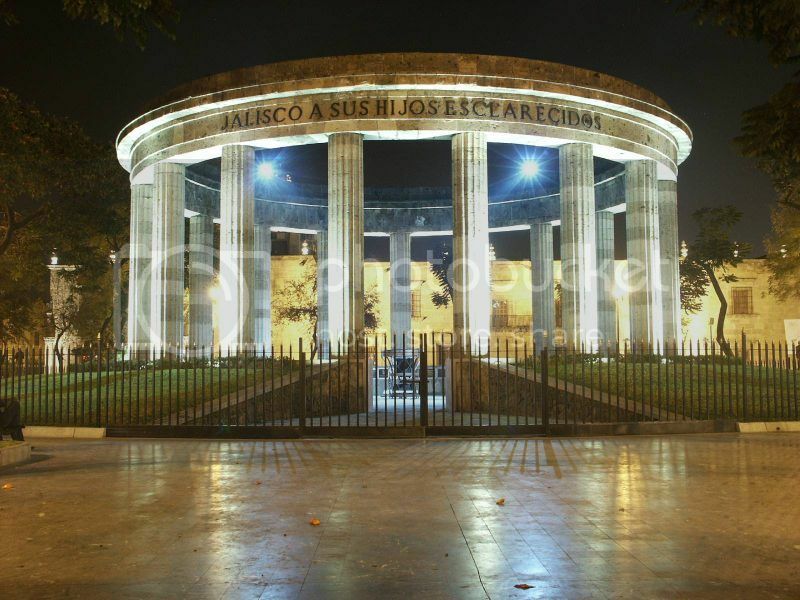 Plaza Rotonda (Rotonda de los hombres ilustres) is located a short walk from Guadalajara Cathedral, and it’s a beautiful memorial-plaza that boasts over 20 statues of Guadalajara’s notables. Freedom Square (Plaza de la Liberacion) is one of the most important squares in Guadalajara Mexico since many important events take place such as political rallies. Freedom Square is also home to the sculpture of Miguel Hidalgo - breaking from the chains of slavery statue- the man who abolished slavery in mexico. Degollado Theatre (Teatro Degollado) is located on the eastern corner of Freedom Square. It’s the oldest theatre venue in Guadalajara Mexico and also one of the most popular landmarks in the city as it the Theatre resembles a Greek Pantheon. The Jalisco Orchestra and the University of Guadalajara’s Ballet dancers play at the Degollado Theatre, so if you’re coming to have a look at it, you may as well have a look inside by attending one of the morning performing shows. Besides, these cool sculptures, you’ll find surrounding Plaza Tapatia the Guadalajara’s tourism board, Lopez Portillo House Museum, and a few small shops such as a jewelry shop and a leather shop selling cool cowboy leather boots. Cabanas Art Center (Hospicio Cabanas Guadalajara) is located on the eastern side of Plaza Tapatia , just adjacent Lopez Portillo Park. Cabanas Art Center is one of Guadalajara’s World Heritage Sites and was built in the 18th century as a hospice. Today, this former hospice houses the murals of famed Mexican artist Jose Orozco. Besides Orzoco’s paintings, Cabanas Art Center is a popular attraction because of giant chair sculptures located outside Cabanas Art Center. Liberty Market (San Juan de Dios Mercado) is located near San Juan de Dios tram station, and it’s undoubtedly one of the best places to visit in Guadalajara Mexico for enjoying traditional shopping and buying your souvenirs presents. Liberty Market isn’t just the best place to shop for cheap goods in Guadalajara but it is also the largest open-air market in the city. Plaza Mariachis (Plaza de los Mariachis) is located a short walk from Belisario Dominguez tram station and it’s one of the most popular tourist spots to hang out to enjoy a relaxing evening out in the city listening to the famed Mariachi Bands. If you come here during the day, photographing the beautiful Mariachis embroidery leather costumes is definitely one of the best things to do in Guadalajara. Regional Museum (Museo Regional) serves both as a history and archaeological museum, and it is located in the city centre, not far from Freedom Square. Even if you are not a history buff, you’ll enjoy spending time at this museum seeing ancient artifacts recovered from tombs and enjoying the museum’s courtyard where you can wander off for a pleasant walk. Jalisco Football Stadium and the Bull Ring (Plaza de Toros) are two other places worth adding to your Guadalajara itinerary. These two places offer a chance to mingle with the locals, soak in some culture and experience the passion locals have for bull fighting and playing soccer. Both the football stadium and the bull ring are located on the Vilas de San Juan district; around 10 minutes drive north of the Guadalajara’s city centre. Expiatory Church (Templo Expiatorio) is definitely one of the most stunning churches that you can visit in Guadalajara Mexico. The Expiatory Church is located in the Americana district, just adjacent Jalisco Cultural Institute, and offers a great opportunity for a great photo opportunity. The church is visually stunning externally boasting three mosaics on front façade, as well as the bronze statue of Pope John. Once inside, you’ll be able to see a beautifully decorated altar with the statue of Jesus, colored stained glass windows and an intricate painting of Virgin Mary. If you’re traveling with the family and are looking for places to visit in Guadalajara Mexico with kids, be sure to add the Guadalajara Zoo and Science Centre to your list of things to do in the city. Both the Guadalajara Zoo and Science Centre are located in the outside of Guadalajara's downtown area, though you can easily jump on a bus, or use car rental (it’s around 20 minutes drive by car) to get there.